One of the great things about running a website is that occasionally you can do favors for your friends! In this case, a nice person from Smarter Review contacted me to see if I wanted to check out their bar review course. Frankly, the last thing I wanted to do was ever think about the bar exam again, but — conveniently — my law school roommate (who you might remember from this awesome post on getting a public interest job) had just decided to take the NY bar in February. Win, win. 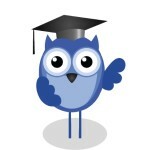 Smarter Review gave her a free course, and she agreed to write about the experience for you. I work full time. I’ve been out of law school for a couple of years. My Louisiana license has reciprocity only with Texas, and only after many years of practice. Yet I wanted to become licensed in New York: my family lives there, my partner lives there, I want to live there some day. I needed a bar prep course, but BARBRI et al. were out of the question. 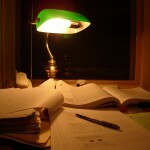 Those major bar review packages are too expensive, too unfocused, and too time consuming. I couldn’t afford to take 2 months out of my life to pore over multiple books and sit through lectures filled with anxious test-takers. I took the bar exam once, so I am aware that it’s at best a rite of passage and at worst a scam. Smarter Review gives you outlines for all of the subjects tested on New York and the Multistate. You can buy both or just the Multistate. I got both. The Multistate includes Contracts, Evidence, Criminal Law, Constitutional Law, Torts, and Property. The New York subjects include: Agency, Corporations, Commercial Paper, Conflicts of Law, Domestic Relations, Federal Jurisdiction, New York Practice, Professional Responsibility, Secured Transactions, Trusts, and Wills. Each outline is about 20 pages long (give or take 10), and they have all of the information in a clear outline format. There is also a deluxe package that gives you some type of grading of essays. I didn’t do that. The people from Smarter Review did contact me periodically throughout the process to try to provide support in a calming manner. It was unanticipated, but much appreciated. The materials were concise and informative. I peaked at some old BARBRI books that were lying around and found that I preferred my Smarter Review outlines. I have a suspicion: BARBRI justifies its outrageous exorbitant cost by sending you many books that you do not have time to read, and then, if you fail, you feel tremendous guilt for not memorizing (seriously?) all the books, and blame yourself — not your review course. I digress. Smarter Review’s instructions were great, they said what to study in what order, and how much to study it. Many of the New York subjects are barely tested so should only be studied if time is available. I would like it if there was a schedule of when to study what provided in the future. But the absence of one allowed me to remember where being a grown up comes in. I remembered that I have been studying since I was eight, and probably could figure out on my own how to learn the material. I made some index cards (probably a waste of time) and tried to read over the outlines many times. I did do a lot of the Multistate questions in the other books that I had found. I also found some New York state essays and did my best to read them over. I procrastinated a lot (I watched Seasons 1-6 of Buffy the Vampire Slayer) — if you use Smarter Review you should not be a procrastinator. Just learn the material: Save yourself thousands of dollars. Smarter Review had some typos in the material. I received an email the Saturday before the exam explaining that there was no fault divorce in New York State, but providing no supplemental information. It feels a bit like it’s in Beta mode. 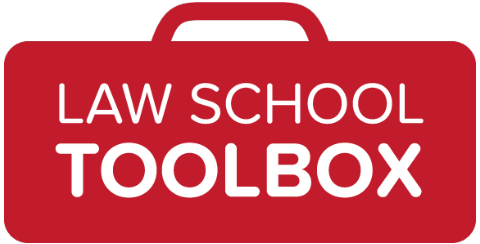 It is designed exclusively for people who will remain calm, who can study on their own, who don’t have a lot of time, and who are confident that they can pass a bar exam. It gives you no schedule. The outlines are really good. The outlines have NO extraneous material. All the material that is on the bar is on the outlines. They are ridiculous dense. And yet unintimidating because the amount of material is small. Seriously — read the outlines on the bus on your way to work, read them at the gym — pop some index cards in your purse and bring them when meeting friends for after work drinks. Of course the big answer to the big question. Did I pass? Now, remember that I never took a Multistate before (Louisiana is the one state in the nation that doesn’t use it) and I took exactly one week off work. But I PASSED THE NEW YORK BAR EXAM!!! THANK YOU SMARTER REVIEW!!!!! YOU SAVED ME THOUSANDS OF DOLLARS AND HOURS!!! Have questions about Gráinne’s experience with Smarter Review? Leave them in the comments and she can answer them for you! Want more bar exam material? 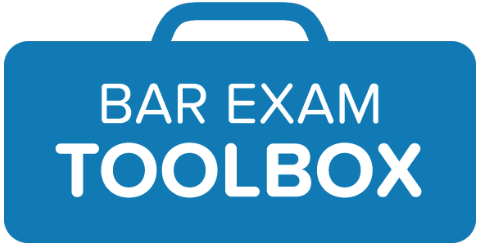 Check out the Bar Exam Toolbox, and these other posts! I Failed the Bar Exam, Now What?!? Stressed About the Bar Exam? 5 Last-Minute Tips from an Expert Tutor! Or sign up for our weekly email list now, and you’ll get all our bar exam content sent right to you! Image by twinkledee via stock.xchng.